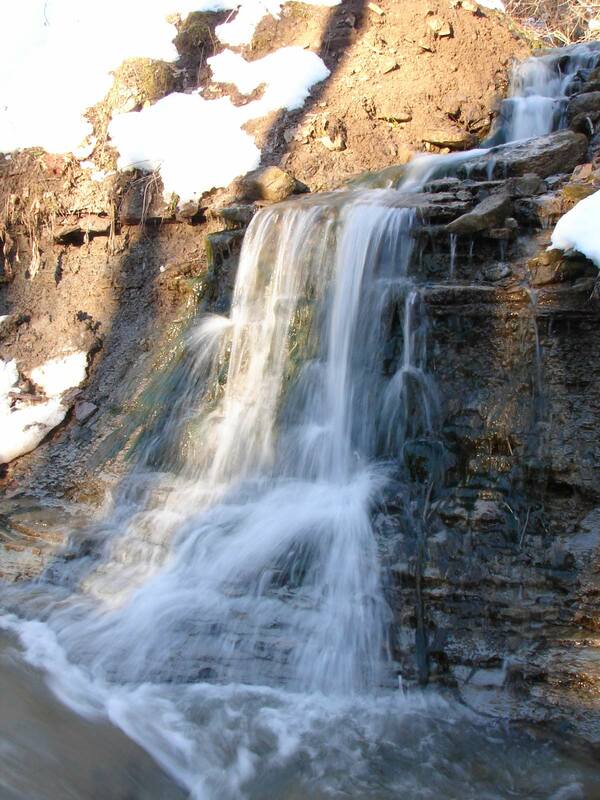 James Falls is 3 feet (1 metre) wide, and 10 feet (3 metres) wide. 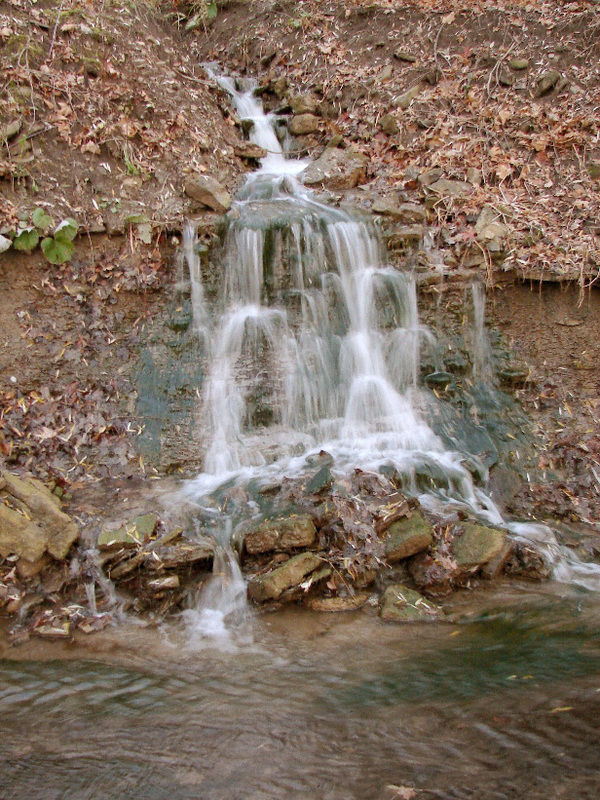 James Falls was discovered by David Wootton. 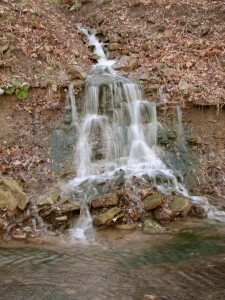 Its source is a pond on the James property. 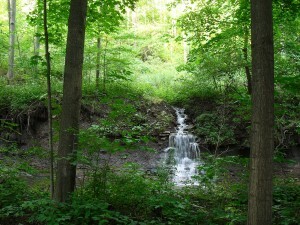 The water flows through a small ravine and ends at Spring Creek in a cascade type waterfall. James Falls is located on private property beside Spring Creek (or Grindstone Creek tributary) about 200 metres downstream of Brown’s Falls.